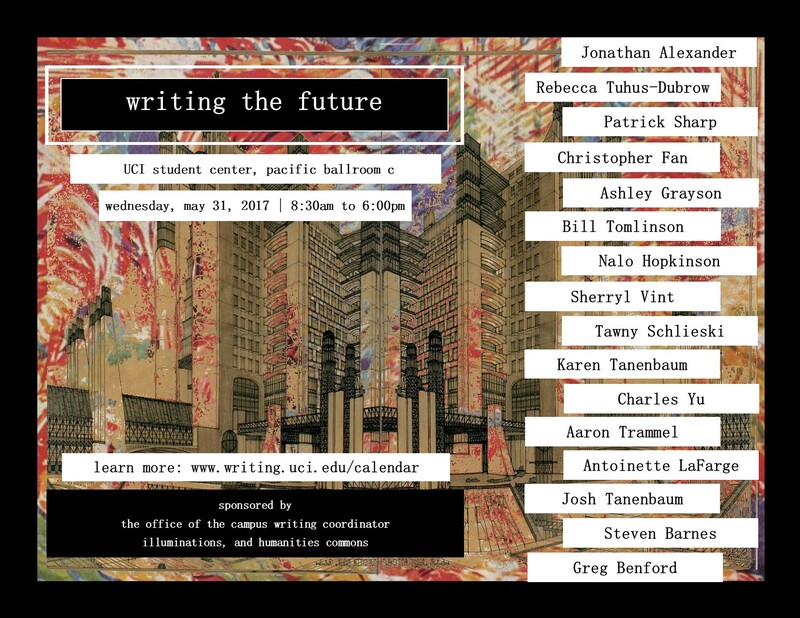 This one-day symposium (5/31/17) brings together authors, scholars, humanists, scientists, and industry leaders to discuss what it means to imagine the future. 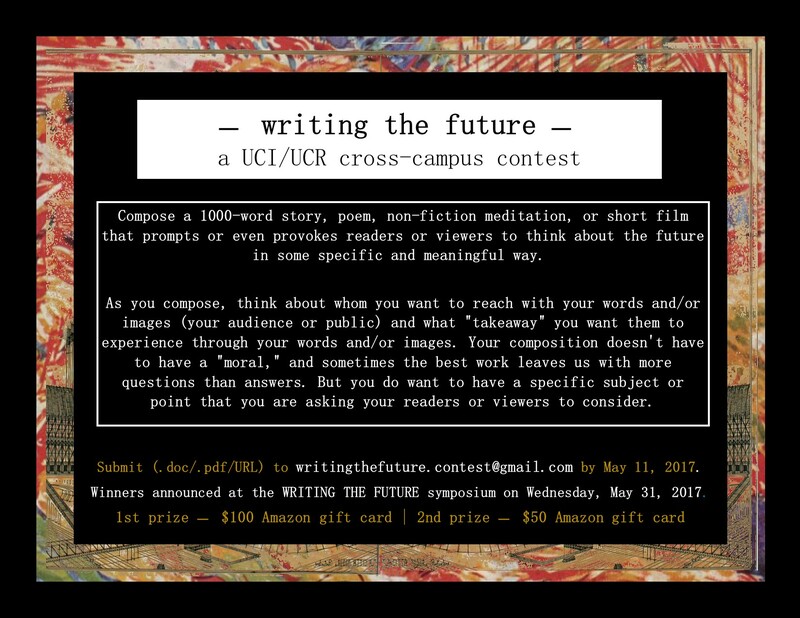 What are the ethical obligations of writing about the future, either creatively or scientifically? How might we, given the current socio-political context globally, imagine together futures that are socially equitable and environmentally sustainable? 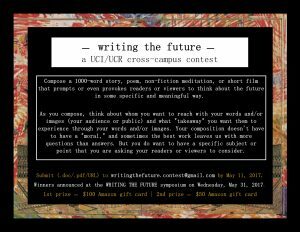 This event is co-sponsored by the UCI CWC, Illuminations, and Humanities Commons. For more information, contact Professor Jonathan Alexander at jfalexan@uci.edu. RSVP by Friday, May 26, 2017 here.